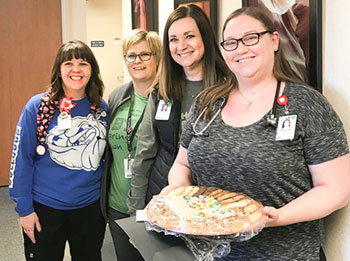 Jessica Ott, MD, (at right) of Greater Nebraska Medical & Surgical Services (GNMSS) Family Medicine was recently presented the 1st Quarter 2019 Provider of Choice Award from co-workers at BBGH. This is the second time she’s been honored with the award. Those nominating her said, “Dr. Ott was chosen for our First Quarter Provider of Choice for the following reasons: She is very easy to talk with when patients have medical problems. She listens to what they have to say about what is going on with their health, and she also does not hurry her patients. She gives them as much time as they need. When she goes up to the PCU to make her rounds she speaks to people as she goes by. That is always appreciated, as well as never seeing her on her phone or texting as she walks. Thank you Dr. Ott for all you do!” Joining her for the photo were, left to right: Dr. Ott’s Medical Assistant Beth Garcia, GNMSS Clinic Manager Joni Sautter and BBGH CEO Lori Mazanec. Dr. Ott joined GNMSS Family Medicine in August of 2015. She and her husband, Matt Whitney, reside in Alliance. 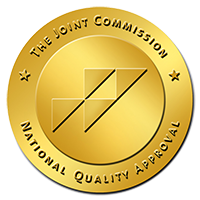 Box Butte General Hospital is an equal opportunity provider and employer.